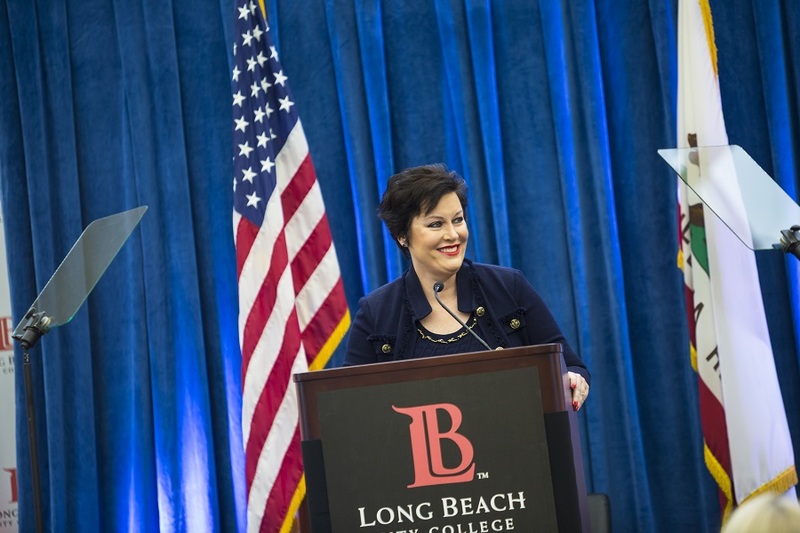 The Board of Trustees on Tuesday night moved to approve a new contract and a 10 percent raise for Reagan Romali, the president-superintendent of the Long Beach City College school district, just one year into the job. The new four-year agreement gives Romali, who oversees the district’s two campuses, an annual salary of $275,625, with health and welfare benefits, a $500,000 life insurance policy, mileage reimbursement and the payment of up to $7,500 for job-related expenses, according to a release. It is set to end June 2022. The contract is a $25,000 increase from her original contract that was set to end in June 2019. It wasn’t immediately clear why the contract was approved a year before it was set to expire. Sunny Zia, president of the Board of Trustees, touted Romali’s achievements during her time at the college so far, including decreasing the college’s budget deficit from $10.7 million to $300,000 without having to lay off employees or cut programs, increasing summer enrollment and the number of students graduating with honors, boosting employee morale. According to Transparent California, former superintendent-president Eloy Oakley earned $325,000 in his base salary in 2016.